The road to Security, Control, Governance, Risk and Compliance is steep and winding with many alternatives to choose from along the way. 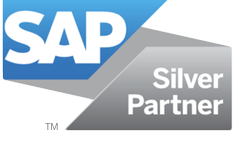 Distinguished by vendor-independent recommendations and deep experience gained from executive positions at F100 global enterprises, SAP and Virsa Systems, the Customer Advisory Group brings a track record of success with more than 400 hands-on consultations and implementations related to strategy, best practices, adoption, and use of GRC and Security solutions. Our services put you on the most cost-efficient road to an enterprise wide Return on Investment. Our Experience Becomes Your Asset. ​ Engage Us Early for Wiser Choices on Security Strategy and GRC Application Implementation Options. "Customer Advisory helped us position further enhancements to our processes with recommendations and demos which helped clarify our vision and value to our senior management."